Best Badges Ltd: What is the difference between woven and embroidered badges? 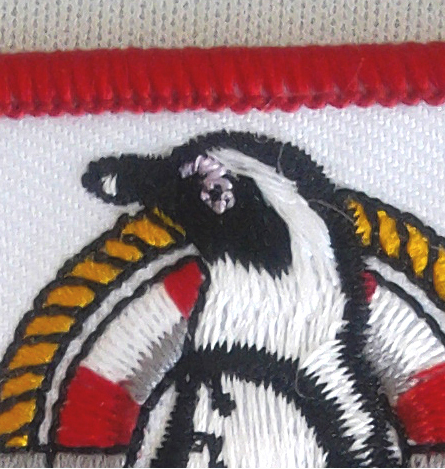 What is the difference between woven and embroidered badges? Confusingly, the terms are often sometimes used interchangeably, but in fact they refer to two quite distinct (though similar) types of sew on badge. The technical difference is that woven badges are made by weaving together fine threads, while embroidered badges are made by stitching thicker threads onto a piece of fabric. Because embroidered threads are thicker and are stitched onto a piece of fabric, the effect is that the stitching has a raised feel. The raised feel of the stitching means that the end result is considered quite traditional. To the left is a detail of an embroidered badge showing the raised stitching and traditional feel only possible with embroidery. By contrast because woven badges are made by weaving threads together rather than stitching to a fabric, the surface of the final badges is very flat and smooth. Additionally because the threads themselves are finer, it is possible to achieve much greater detail than with embroidery. 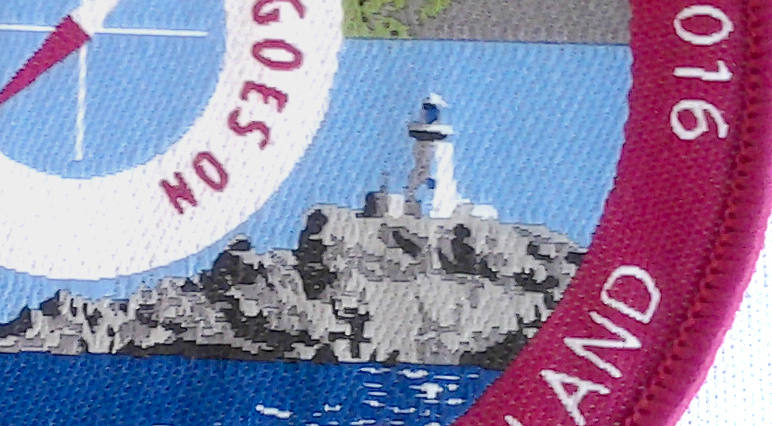 To the left is detail of a woven badge showing the flat smooth surface and excellent replication of detail – possible because of the fine woven threads. Because we can also pantone colour match woven threads (embroidery threads cannot be pantone colour matched), woven is a better choice for corporate logos or situations were exact colour replication is critical. You can order either woven or embroidered badges through the Best Badges website, or email for more information.